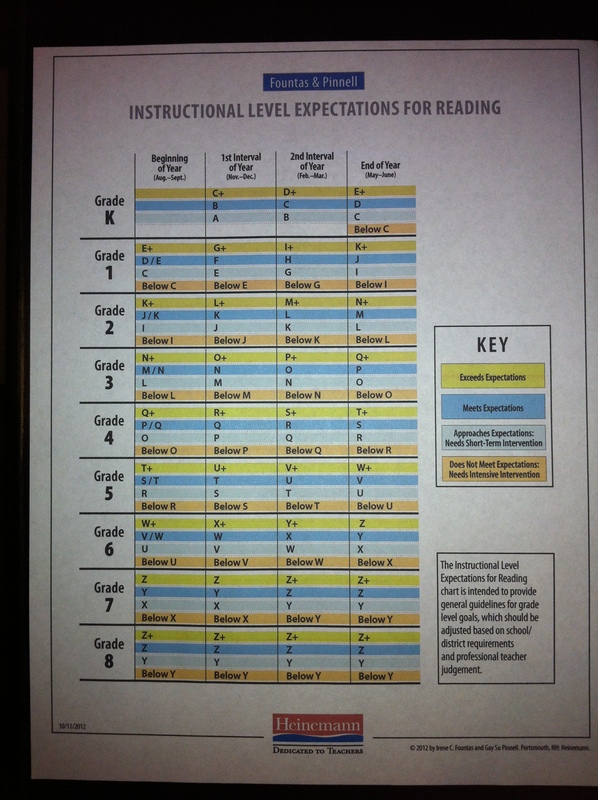 I know that lots of the teachers with whom I work will be interested in seeing this link – to Fountas and Pinnell’s updated (2012), recommended reading instructional level expectations. This list represents a change to the year-end levels for kindergarten and first grade, and also clearly outlines how much is “enough” progress at various points throughout the year. It’s a great resource for helping to determine eligibility for support services or for RTII. Print one and keep it at your desk! As my colleagues and I attempted to teach our students to have deeper and stronger conversations about characters, we realized that the trouble they were having wasn’t that they didn’t understand the stories or have ideas about the characters – it was that their vocabularies didn’t contain sorts of “juicy” words that could explain their thinking precisely. After some research into the ways other people explained and shared these terms with their students, we culled the best of all their ideas, and captured them in the following chart. 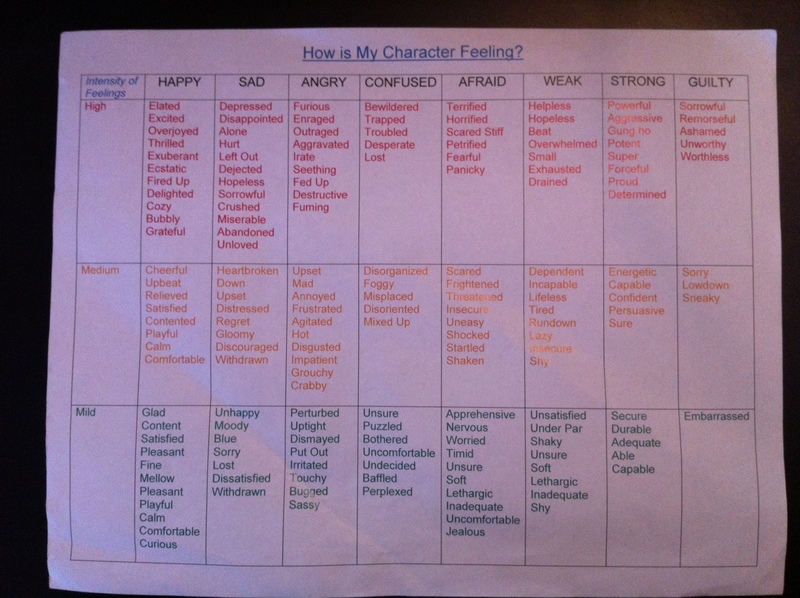 Once the children familiarize themselves with this character traits vocabulary list, they can learn to discuss characters with more precision, and gradually outgrow this scaffold. Everyone spends lots of time talking about the importance of phonological awareness – but for me, it wasn’t always clear by when young children should have achieved certain skills. When this knowledge is clear, it is easier to identify when children are meeting benchmarks, and when we should begin to concern ourselves with providing interventions for them. 3) Games and activities for practicing each skill. Thanks to a workshop I attended, I’ve recently discovered an amazing book called Visible Learning by John Hattie. As its subtitle indicates, this book synthesizes over 800 meta-analyses relating to student achievement. The NY Times Educational Supplement says Visible Learning “reveals teaching’s Holy Grail,” and rightfully so. Hattie culled data from the best of recent educational research in order to try to discover what things research says have real and significant impact on student achievement. feedback is information provided by an “agent” about aspects of performance or understanding (this can mean corrections by a parent, peers offering each other helpful strategies, checking in a book to clarify your ideas, providing encouragement, or a learner researching the answer to a question). Feedback is a “consequence” of performance. I hope that these interesting facts will help you look at the literacy-related (and other) feedback you give in a new light. It had that effect on me! All information was taken from Visible Learning: A Synthesis of Over 800 Meta-Analyses Relating to Achievement by John Hattie, Routledge, 2009, pages 173-178. I’m attaching an interesting article I found recently on teachers being “wise consumers of coaching.” It’s from a recent Journal of Staff Development, and gives advice for teachers on how to best benefit from using the coach in your school district. Let me know if you enjoy reading it, and want to talk about some ways we can work together in your classroom!